When you say or see the words Ivory Twine, you have to assume elegance and class, sophistication and regality. And your assumption is certainly correct. Adorned with a natural color, these spools can enhance any kind of item. From centerpieces to gift wrap, from decorations to craft projects, this twine will surely give you a pastoral look! This twisted texture will bring an even more beautiful edge to your items and decorate them even more. The sturdy twine is also great for making beautiful garlands. From stringing pine cones together during the winter to flowers for the summer, this ivory twine is great for any time of year and for any color item. Or wrapping twine onto items makes the purpose of twine even more versatile. Whether you want to make your mason jars more rustic or decorate your Christmas ornaments with a little more elegance, these spools are sure to do the job right. 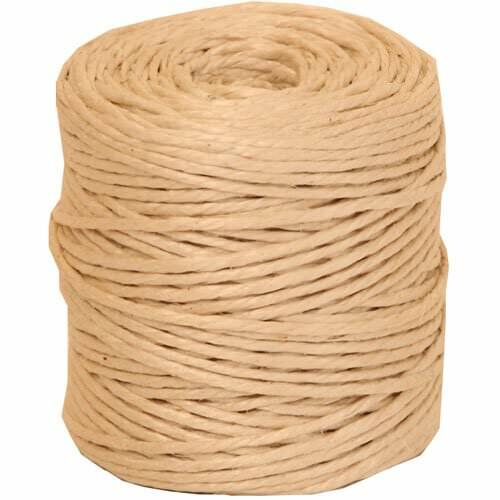 Ivory Twine is available in 73 yards per spool.